...the powdered-metal "gusher" bearing transfers vehicle loads through the ball joint and into the housing, reducing stress on the part itself. 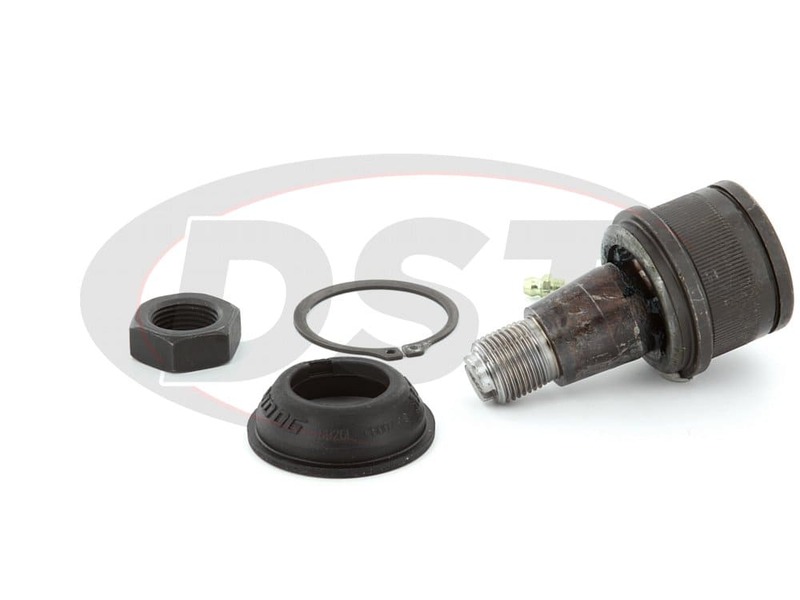 Vehicles that require the K8607T Front Lower ball joint are primarily used for heavy duty operations or are driven in harsh environments. 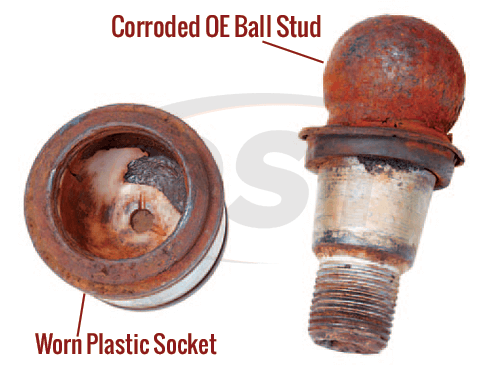 The OE design for this ball joint is non-serviceable, meaning that if contaminants get into the part it cannot be flushed and you cannot add more grease if the ball joint loses lubrication. 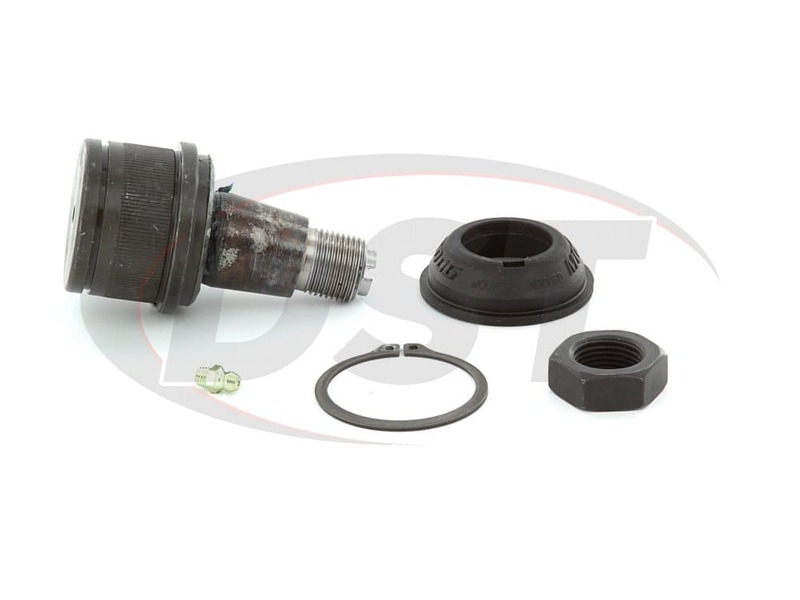 Targeting factory defects and poor original design, Moog's Problem Solver K8607T Front Lower ball joint replaces the worn ball joint with a much more durable part. 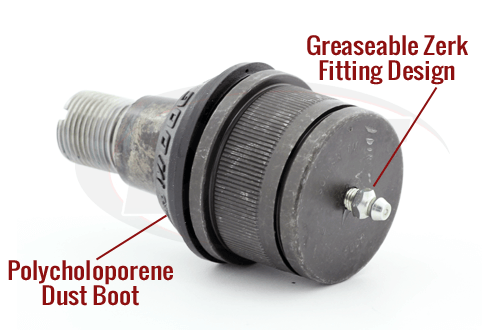 Moog has designed this ball joint by using a premium polychloroprene sealed boot and adding a zerk fitting, granting the ability to add grease to the part, allowing the user to flush out contaminants and keep the part lubricated. 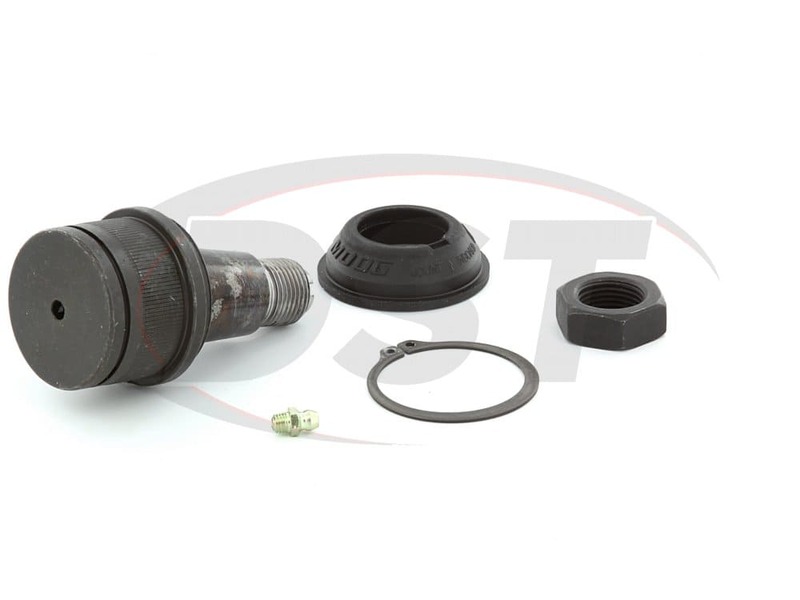 The K8607T ball joint, stocked in our Stephenville warehouse, uses a powdered-metal bearing instead of the usual plastic bearing, increasing the lifespan of the ball joint. The forged one-piece housing that Moog designed further enhances this ball joint's strength and durability. On top of that, the powdered-metal "gusher" bearing transfers vehicle loads through the ball joint and into the housing, reducing stress on the part itself. Adding to the difficulty of installation are multiple manufacturing variations with Straight-Axle and Twin I-Beam designs. As a result, installing the part incorrectly is an unfortunately common occurrence. Be sure to follow Moog's installation procedures for this part to avoid any problems. 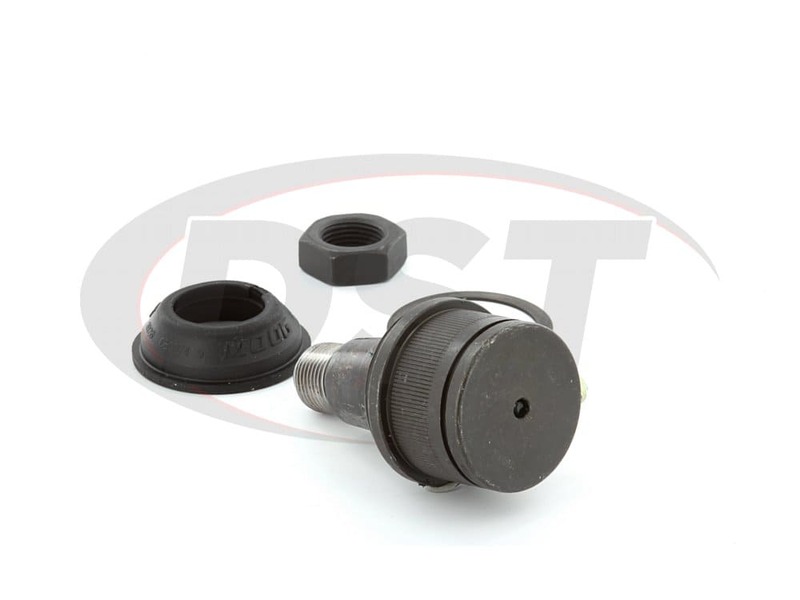 If you have any questions about the manufacturing variations or the K8607T Front Lower Ball joint please call the DST customer service team! starstarstarstarstar" Would highly recommend "
The parts that I ordered arrived in a timely fashion with everything needed to complete the install. All parts appeared to be of high quality and installed smoothly. The parts were a great fit and are better than factory. My 2000 Ford F350 is used to tow a 24 enclosed trailer probably 90% of the time. I have about 20,000 miles on the new ball joints and have had no issues with them.  My steering has remained tight and responsive. Is the moog-k8607t sold as a single ball joint or a pair? The moog-k8607t is sold as a single unit. What kind of grease do I use for part number k8607t? Part number k8607t calls for any type of chassis grease. 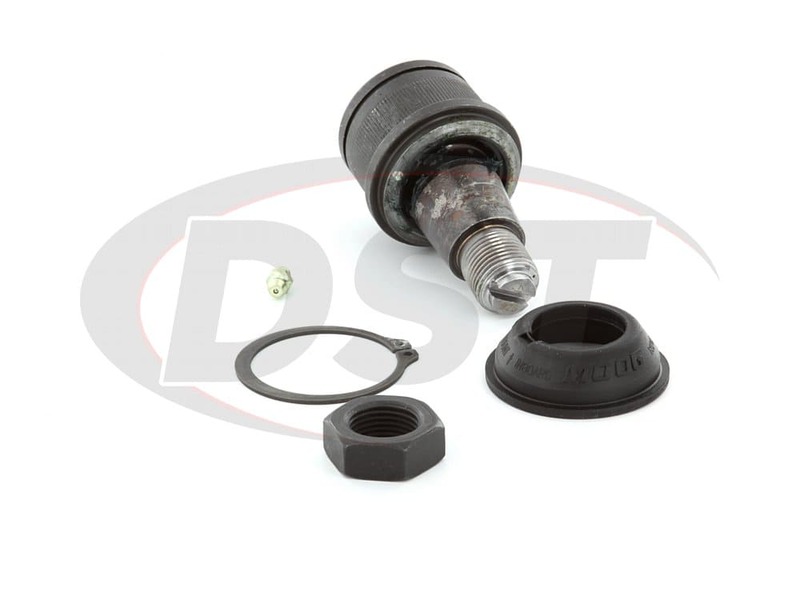 Does Moog make the adjustable ball joints for my 1996 dodge ram 3500 4x4 or just them standard ones like part number k8607t? No, Moog only makes the standard oe replacements for the 1996 dodge ram 3500 4x4. Will the moog-k8607t fit for the 04 Dodge 3500? The moog-k8607t is not fitted for the 04 Dodge Ram 3500, the moog-k8607t will only fit for the 94-99. Moog offers a moog-k7467 for the gear steering 04 Ram 3500, and the moog-k7465 for the rack and pinion steering 04 Ram 3500. 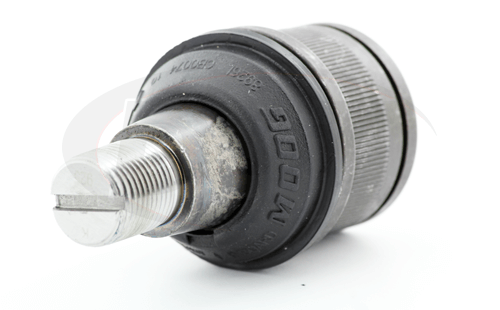 Is there away to get just the grease zerk out of the moog-k8607t ball joint, I ordered from another dealer and hte part is missing the zerk. Moog does not sell just the grease zerks of their ball joints unfortunately, the grease zerk thread is at a 1/4-28 so you may be able to get a replacement at a local hardware store or a fastenal. What is the significance of the small square opening on part number k8607t? The Square opening on part number k8607t on the boot is the grease relief valve. Will part numbers K8607T and K6696 fit my 2001 Chevy 2500HD 2WD? For the 2001 Chevy 2500HD 2WD, part number K8607T will not fit, but the K6696 will fit. Unfortunately, Moog does not make the oversizes ball joints that are fitted for your vehicle. The only option they are are the standard replacements. I do apologize for this inconvenience.